How does the numbers RE population track with birth rates for the applicable ages? I’d agree that impact is specifically hard to measure. However, church attendance can gauge impact as getting out of bed on a Sunday morning (or whatever day) and getting to a service does measure if this activity is causing an impact. Here the 1.9% growth of 2004-2012 is Ok, but the last 7 years is a minus 4% using math so our impact is not as bad as some but is heading in a negative direction. 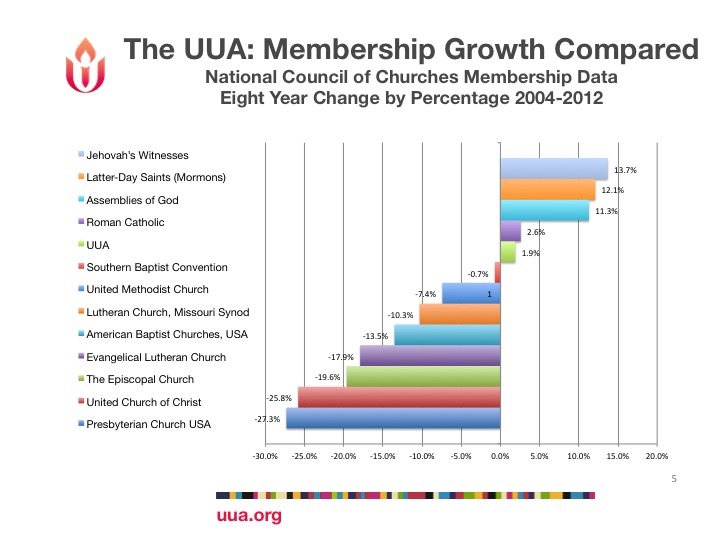 The future of the church is with its children so a loss of 25% is quite significant. 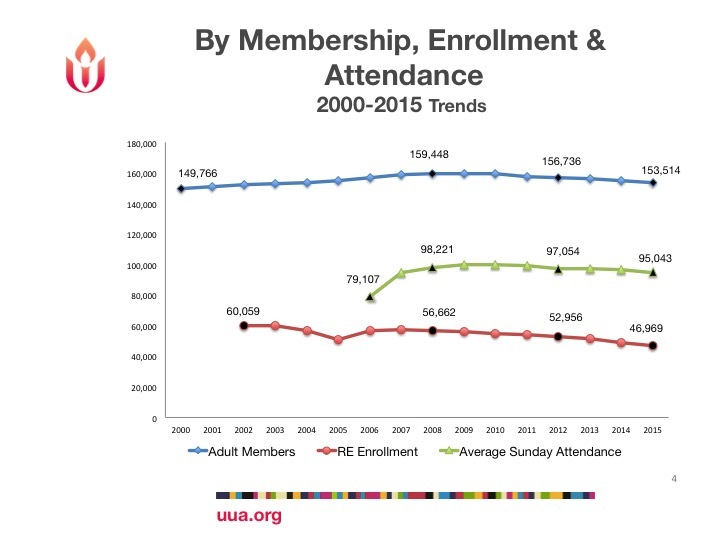 RE numbers are as you said to come but overall the numbers aren’t at all good but the UUA is not about to be extinct but increasingly less relevant as youth are often the main engines of social justice and progress. I like when you serve up the numbers for us all vision infused but not overly sweetened. Your last point seems maybe a more dated read of the dramatic mainline attrition rates we see in recent years. 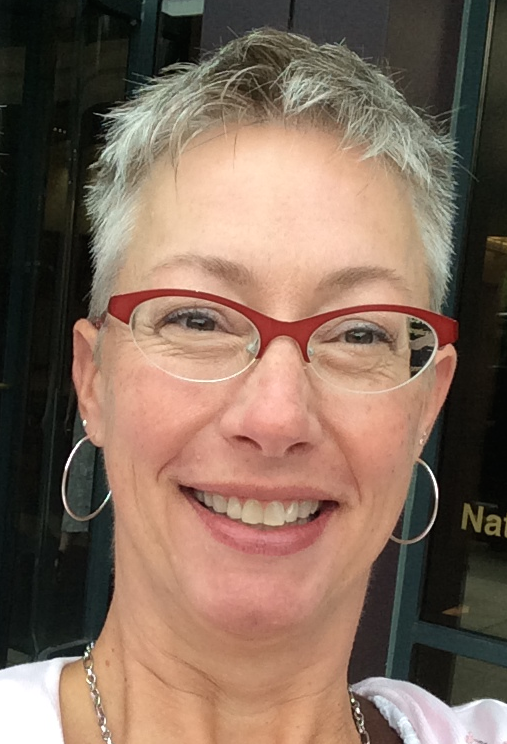 From what I have observed and heard from others there are many southern areas where the advise to be prepared to embrace and find room for those who are not at theological odds with their former mainline protestant congregation so much as they are at political and moral odds on issues from science to women to LGBT rights and full communion. 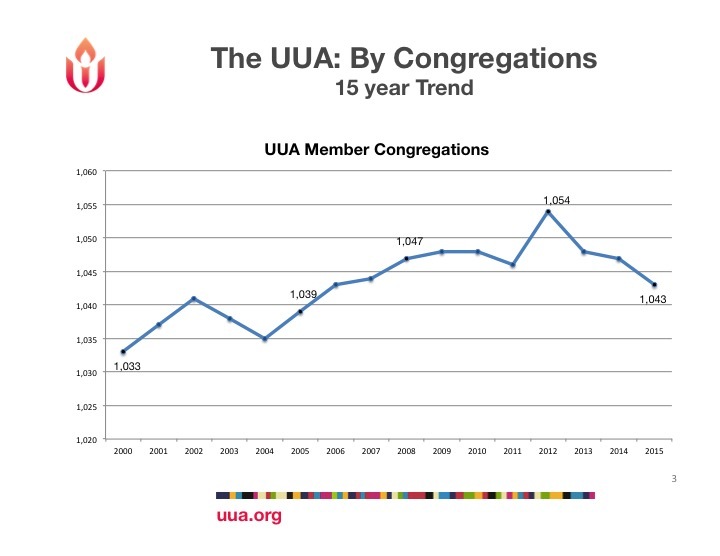 But having spent time among the UCC as a child and more recently serving a congregation I know that since 2005 they have not just been loosing members here and there but congregations are in mass breaking ties and while there are many factors the catalyst has been the denomination’s move toward a more wholehearted support of marriage equality. As I consider the dip in R.E. participation I had some thoughts some of which could easily be investigated to see how the idea matches additional data and other thoughts that I am unsure how to test . 1) I know even before the mortgage bubble is supposed to have officially popped I was attending a lot more fretful budget focused meetings and experienced having my pay slashed and saw it happening with many others. What are the figures as far as the number of MRE’s DRE’s 1/2 time 1/4 time and full and in some ways possibly more significant would be similar numbers on Youth directors. I suspect that we will see reduced hours and a smaller percentage of the total budget being allocated for programing and staff devoted to the needs of young children and teens. 2) In an age of maker spaces and a high value being given to innovators we have I think taken up an odd interpretation of the values of our age in how the faith development department has redefined its work. Our pioneering achievement in being the first major religious organization to offer an “open source” curriculum for religious education with people of all ages and stages has missed the point. Yes it is free to download and has been created according to a set template and lessons and other elements uploaded into a learning management system that enables flexibility in connecting stories from one program to activities and visual aids say from another. But this is not exactly what open source is all about. The ideal in an open source approach is not just that the official educational authority or institution or author makes their work free and available to a broad audience for their enrichment. In making work so available to so many the author is assuming that they will receive more feedback and inspire others to counter his own position and so more is produced with fewer single authors and a creative cauldron that yields enormous amounts of user generated content. 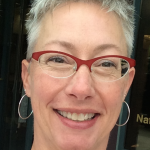 Tapestry has structured a place for people to participate as a contract or freelance writer but in many ways consolidated the work of inspiration and innovation at the institutional top. The Fas collaborative may provide a great counterbalance for us but I think we would do better if we worked more on developing a system that was less focused on curating the official set of resources and instead focused more on fostering the enthusiasm of the many innovators out there. Other thoughts but those are the most clearly stated right now.